Last week I got great advice from a number of you regarding my idle and fuel distribution problems. I started implementing today (between holiday errands and honey dos) by pulling the injectors. I used the wrench and screwdriver method that I found by searching the threads and it worked great! However, I ran into a snag. The sleeve came out with three of the injectors and stayed in the manifold with the other three. By the looks of it, the rusted ones pulled out as a unit and ones with less rust came out separately. I spayed carburetor cleaner through each injector, using the small plastic tube, and the pattern looked good; so I’m assuming that the injectors are okay. 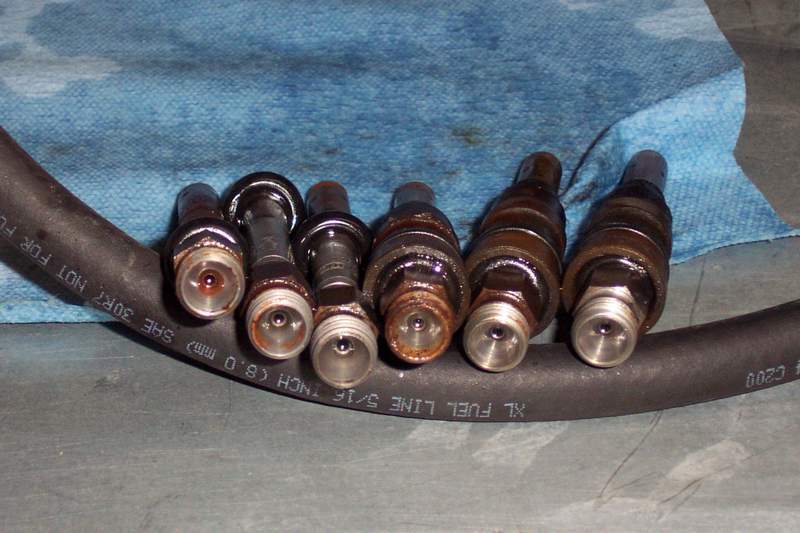 What would you guys do, knock out the remaining three sleeves to install new ones or put the injectors back in the old sleeves with new o-rings? It looks like I’d have to remove the CIS unit to safely remove the stuck sleeves. Also, it appears there is a screwed-in circular ring on top of each intake opening with indented notches (does it take a special tool?). Do these need to come out? 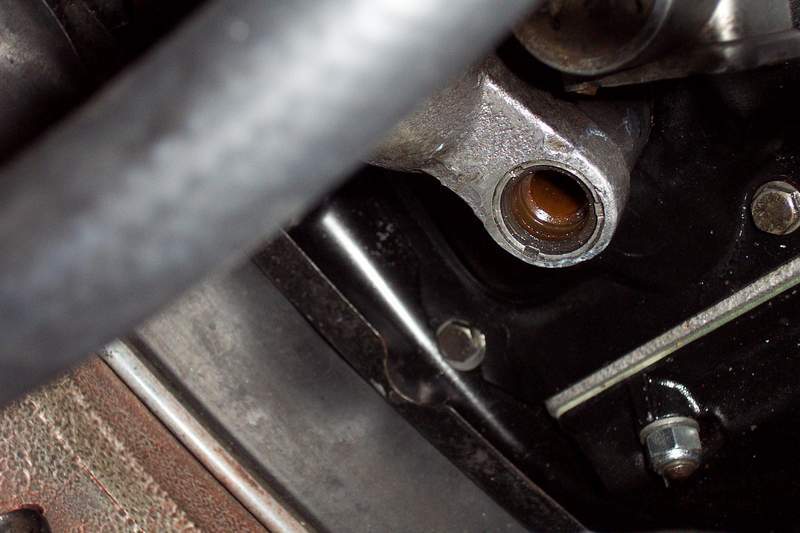 Again, the problem that I’m trying to solve is a vacuum leak that originates from the injector seals. the notches have to be ground off with a dremel, in order to easily remove the sleeves. you probably noticed that the sleeve o-rings were rock hard. a proper size tap will get a light bite on the sleeve to help get it out, if it resists. My Bentley manual says "The inserts have an internal hex-shaped socket and can be removed using the proper size hex wrench." (Page 240-18) Although, I have never dealt with these on mine, so I would trust JW's advice since he is the expert around here. BTW, I just looked at my engine and my injectors don't appear to have the end of the insert sticking up and surrounding the end of the injector that is attached to the fuel line. Is this possible? Sorry for the late response, but I think I got it! At first I thought the punch marks were some kind of screw-in circular nut. At closer inspection, the notches appear to be punched into the metal. I now understand John’s recommendation about grinding the metal notches to get the sleeves out (thanks John). The sleeves are loose under the lip, so my guess is that all three will come out easily if I can remove the obstruction. I hate to ask, but if I was thinking whacking the notches with a punch to avoid taking the manifold off. I definitely will remove it if I use the dremmel method. BTW, my car is a ’74 911. 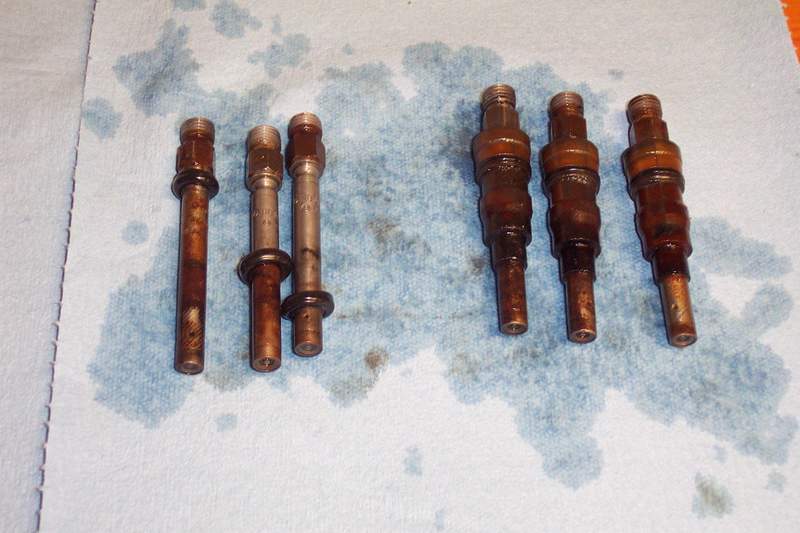 BTW – I pulled the CIS unit and knocked out the remaining injector sleeves. I did as John suggested and used my dremmel tool on the notches. I was careful because it ate into it like butter, but it was easy after that; I punched the sleeves out from the bottom. I’m going to lock and load the new sleeves and o-rings next. One question, I noticed gas dripping from the return line. I didn’t use fuel line on the WUR return and I didn’t use pressurized injection line on the rest of this circuit (if I can call it that). 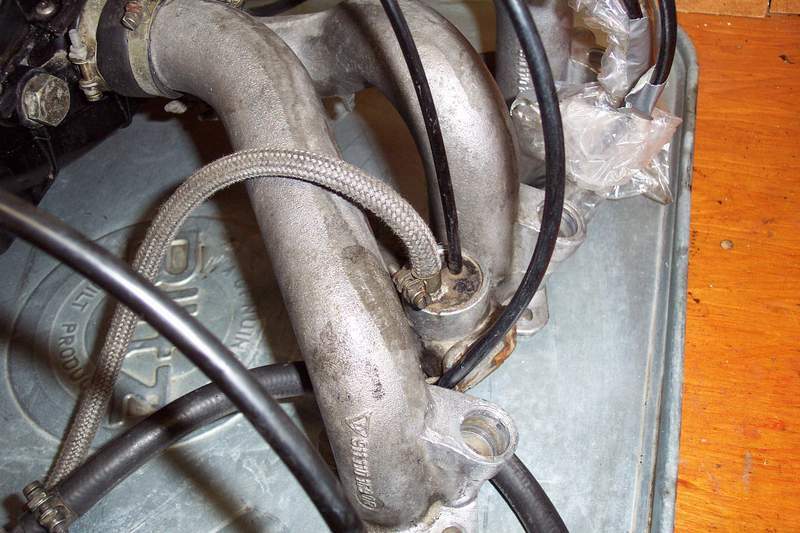 Should I replace these hoses while I have it out (see pictures below)? IMHO, I would change all of the rubber sleeves for the runners while you have it all off. Sometimes hairline cracks form in these that only open up when the car heats up. I ended up replacing all the sleeves. Once I took the CIS unit off, it was easy. However, it still didn’t fix my idle problem. 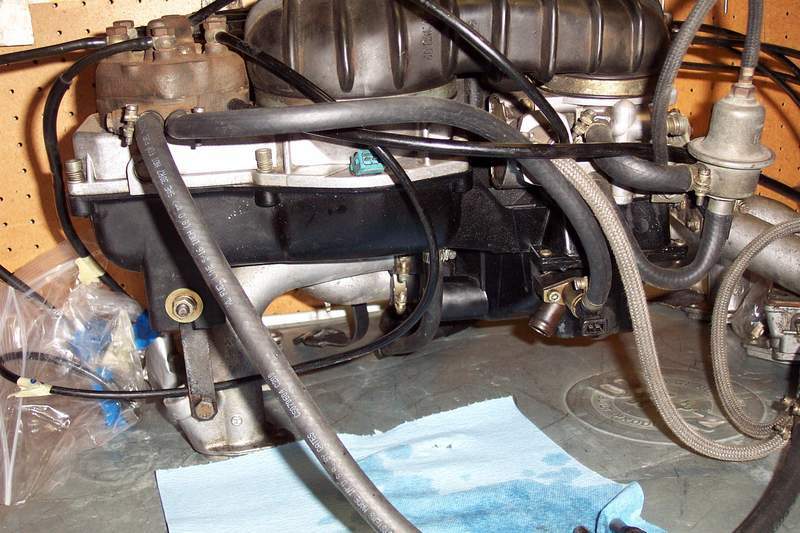 My next step is to check the electrical connections replace the fuel regulator and check the WUR pressures (my suspicion is the WUR, but I want to make sure before I spend the money). When I took it to the shop, the fuel system pressure was measured at 6.5 BAR (5.2 is spec) and 3.0 BAR warm.